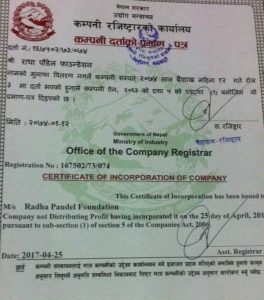 RADHA PAUDEL FOUNDATION (RPF), Nepal informally started to work since 2016 and officially registered in 2017 under the government (167502/74 and 46619 in Social Welfare Council). The VISION of the RPF is emancipation for girls and women from poverty, injustices, discrimination. v) enrich capacity of team, partners and concerned stakeholders. 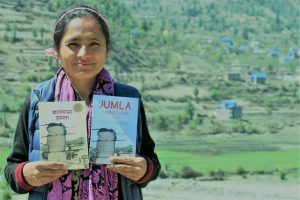 Miteri-Let’s Live Together, Social Business, Movement Building, Accountability.